The Siberian Husky personality makes this breed a very popular dog, being ranked as the twelfth most popular dog breed according to the American Kennel Club. However Siberian Huskies are also ranked rather high as being one of the most wrongly purchased breeds, this being due to their beauty. What this means is that Huskies are often bought because of their physical appearance by people who are not properly educated on the needs and requirements of the breed. The owners then tend to end up with a poorly behaved and destructive dog, which they blame on the breed itself, instead of the mental and physical neglecting they have unknowingly shown the dog. It is VERY important to understand the Siberian Husky Personality. This is why you can see many Huskies in shelters and pounds. 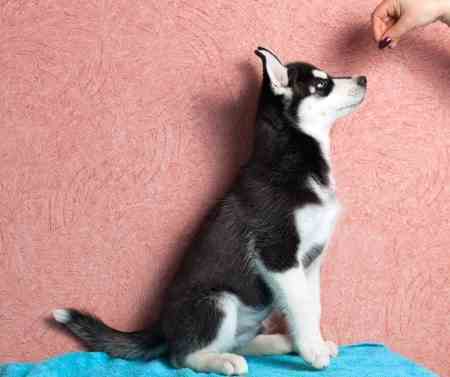 It is important that if you are thinking about purchasing or adopting a Siberian Husky, you are sure to conduct proper and thorough research on the breed and their needs, so there will be no surprises when it comes to your dog’s demands. With the correct knowledge of the Siberian Husky personality, you will discover an amazing dog that can guarantee to make you happy for as long as they possibly can. The first thing to note is that Huskies are not like a toy breed or a “fake” breed of dog that you see many celebrities carrying around in their handbag. This is a real-dog type of breed, and they should be treated and cared for as one. Due to their origin and background, Siberian Huskies are very work-oriented and were bred to endure freezing cold temperatures. This causes Sibes to need a lot of exercise, and are suited more for someone who can provide them with a large, fenced in yard, or some type of area to roam and play in. With that being said, Huskies are able to live in apartments as long as they are receiving the proper amount of mental and physical exercise, but it is not usually recommended. One of these reasons is that although Sibes are a very friendly and generally non-barking breed, they do have quite the howl. Their howl can actually be heard up to ten miles away, which would most likely do more than annoy the people in the apartment next to you. Siberian Huskies are also not generally recommended for people living in tropical or sub-tropical climates. This being because Huskies have been bred to withstand subzero temperatures that some say can be as low as negative fifty degrees Fahrenheit. Every aspect of their bodies from their thick double coat to their metabolism is built for the Arctic. Colder climates are where a Husky will be the happiest and most comfortable, however if you live in a warmer area, you can still own a Husky as long as common sense is used when it comes to keeping the living area cool via air conditioning, or another means as to make sure your pup does not overheat. Huskies can get along with other dogs if raised with them from a young age. Be cautious of your Husky around other small animals, since the Husky’s natural hunting instinct can tend to shine through when it sees a small animal. This is a particularly friendly breed, and Sibes do very well with children and families. Since Sibes were bred to live and work in packs, they love to have the company of others, and get along with nearly anyone. Of course, like with any breed, you should not leave your small children alone with the breed, and supervision is always strongly recommended, but overall, this is a great family pet. The Siberian Husky personality is very intelligent, as well as cunning and curious. This is not always a good thing, if you are not careful to properly train and exercise both the mind and the body of this breed. Sibes are known to be escape artists, meaning it is not hard for them to wiggle and squirm their way out of a collar or leash, and they should not be left unsupervised when they are outside, because one minute they are in the yard, and the next minute they have dug their way out and are halfway down the street by the time you realize they are even gone. It also goes without saying that Siberian Huskies do not do great when being walked off-leash. Not only should a Husky not be left unsupervised, you should not leave your dog alone for long periods at a time. Being very family-oriented, they do not like to be by themselves, and if left alone for too long, can display some undesirable behavior issues such as excessive digging or barking. Here a short video that sums up what living with a Siberian Husky is like. Need more personal info? Read our Interview with a Husky Owner. As their name would suggest, the Siberian Husky originated in North-Eastern Siberia by the Chukchi people. Originated for sledding and hunting, Huskies were the perfect dog to endure the harsh living conditions of Siberia. They had no problem, and actually enjoyed working for many hours at a time. 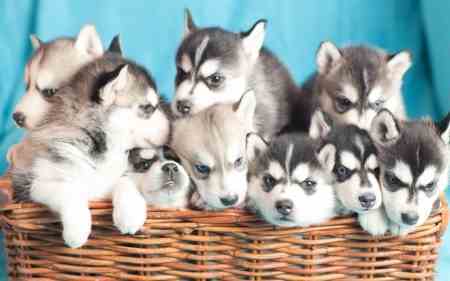 Huskies also slept with children to provide them with warmth in the freezing cold, acting almost as a blanket for them. In 1908, the Siberian Husky was transported to Alaska where they were used as sled dogs during the gold rush. They were also used in the very first All-Alaskan Sweepstakes. In this event, mushers would take their dogs on a whopping 408-mile long dogsled run. The breed gained popularity in 1925 when they essentially saved Nome, Alaska. During a diphtheria epidemic, it was Siberian Huskies who brought life-saving serum to the people. The breed was recognized by the American Kennel Club in 1930. Other color variations include black, tan, brown black, and copper. Although the Siberian Husky personality is very intelligent, training can be a little more difficult than one would think. Huskies are not only very intelligent, they are also very witty and mischievous. Sibes are trainable, but require a someone who is very firm, confident, and consistent to train them. Like all other breeds, Husky puppies should be socialized from an early age to assure they will develop into a confident adult. It is important that you get it into their mind that you are the dominant one, and you are not going to let them be the owner of you. If the dog does not sense that leadership aspect, they will see no reason to obey and listen, and training will be much more difficult. As long as the owner is stronger minded than the dog, and the dog is aware of this, Sibes can be very trainable with the proper amount of dedication and patience. This is not a breed that makes a good guardian. Huskies are too friendly and gentle, as well as rather silent when it comes to alerting people by barking. They are very loyal and dedicated to their family, but quite indifferent when it comes to being any type of watchdog. Siberian Huskies have a very thick double coat that is meant to endure subfreezing temperatures. They are average shedders and do need attention when it comes to grooming. Regular brushing is required for them, and is recommended to do at least once a week. Twice a year this dog will blow its coat, and during this time more regular brushing is recommended, but other than that, this is a very low-odor breed that is not going to be a nightmare to groom. Huskies are a relatively healthy breed, but like all other dogs, they are prone to certain genetic conditions. Those that have been identified in the breed are listed below. There are many ways that breeders can test their breeding dogs to assure they are healthy before being used for breeding. Ask your breeder which tests they perform. Hips and Elbows can be x-rayed and eyes checked by a veterinary ophthalmologist. Other tests involve a blood sample. Hip dysplasia is a genetic disease that causes mild to severe changes to the hip joint. The ball portion of the femur does not properly align with the socket part of the hip so the normal smooth movement of the hip joint is impaired causing pain, inflammation and arthritis. This is a very common problem in large dogs and in many smaller dogs as well. The risk does not appear to be as great in the Siberian Husky but still poses a risk. Entropion is a common disease of the eyelids where the lower or upper lids roll inwards towards the eye ball. It can lead to pain and swelling due to the irritation caused by eyelashes touching the cornea. It is rather common in the Siberian Husky. Corneal dystrophy is a non-inflammatory clouding of the cornea that can result in blindness because usually both eyes are involved. The mode of inheritance is not known at this time. Each breed that has been studied seems to have a different mode of inheritance. 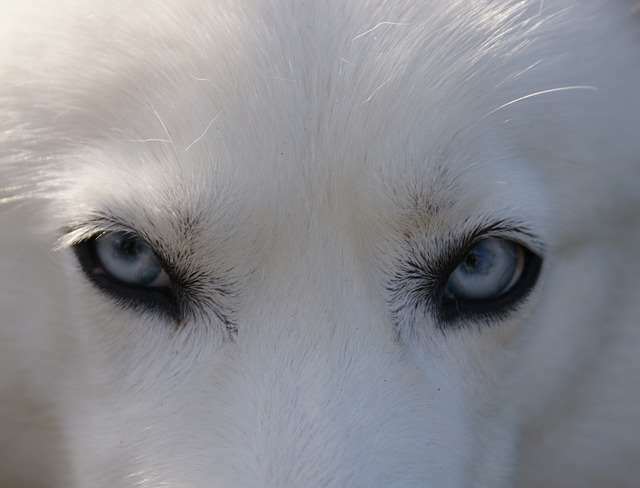 This is another eye problem seen in the Siberian Husky which leads to blindness. It is caused by a gradual loss of photorecptors in the back of the eye. There are tests that can be performed by a veterinary ophthalmologist that can certify dogs that are used for breeding purposes. Cataracts are an opacity of the lens which causing difficulty in seeing. It normally occurs in old age, but juvenile cataracts can occur as young as six months to one years old. Cataracts can be surgically removed to improve the dog's vision. Zinc Responsive Dermatitis is a skin disorder that is caused by a zinc deficiency. 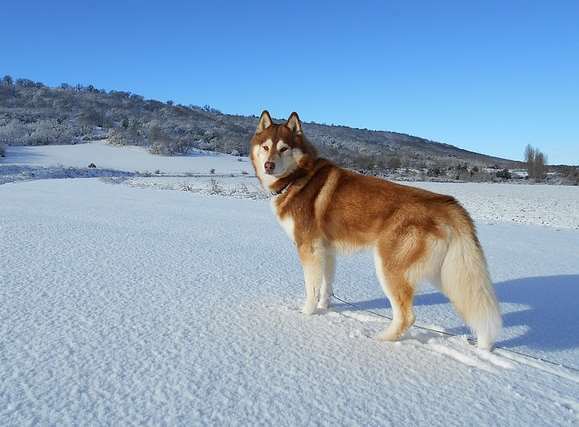 By adding zinc to the diet, symptoms tend to disappear but it is likely a genetic problem and tends to occur in other northern breeds in addition to the Siberian Husky. Symptoms tend to appear first in young adult dogs and include thick scaly, crusty patches of skin with hair loss around the eyes and muzzle. Scratching and biting at the areas usually exacerbates the problem. Ears, hocks, reproductive organs, and pads are also affected. The thick crusting can occur on any pressure point such as the elbows. Secondary infections can accompany Initial symptoms. Balto: Along with Togo, Balto was one of the husky team carrying the Diptheria serum to Nome. 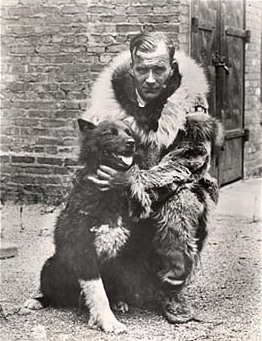 Balto is more famous that Togo because he completed the last 53 miles to Nome. Togo actually ran farther at 91 miles.